Hello everyone, and Happy New Year! I’m taking a break from the New Year freshening your home series to present my first guest blogger! 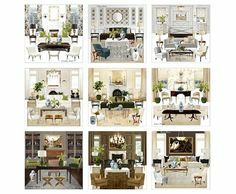 I am completely honored that Mari from the Arcadian Home blog wanted to share this beautiful post about dining rooms on the laurel home blog. Please enjoy! Hello, everyone! It’s Mari here, with a guest post from Arcadian Home blog, a great place to find interior design inspiration for everything from beautiful buffet lamps to brilliant rugs for the dining room floor. Dining rooms are the focus today—spaces that grab our attention and hold it. Dining rooms, no matter their size or style are places for entertaining friends and gathering with family to make memories of good food and great conversation. With that in mind, I’ve pulled together eight images of dining rooms that captivate and inspire interior design dreams. Please enjoy! Thanks to Laurel for letting me stop by for a visit. A fabulous intimate dining room in the palest of neutrals blends well with the cabinets and walls of sea-foam green. The traditional chandelier definitely gives this serene space a captivating look. Everything about this spacious dining room is well-coordinated. Who knew that stylish slip covered armchairs and a glassware display would go so well with this sparkling chandelier? From artwork to a modern take on classic French chairs, this captivating dining room is filled with contemporary creativity. 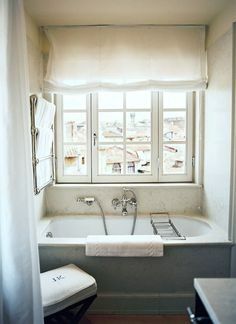 It’s a room image that I return to over and over for inspiration. What is the most captivating element in this stately dining room? Is it pale yellow chairs, a dramatic fireplace mantle, or perhaps it’s the stunning chandelier with beads cascading down toward diners? Or, perhaps it’s all three. What do you think? Drama in gray and white—it’s difficult to stop looking at those chairs and that amazing ornate crystal chandelier. This is definitely a room that captivates. This stylishly beautiful dining room begs the question, “Do the streets of Paris await just outside that draped window?” Slip covered dining chairs add a charming touch to this pale space. Great contemporary style meets rustic elements in this refreshing dining room. With a backdrop of expansive views, this open space is made for summertime entertaining. This transitional room keeps it classy with gray, white, and black, with pops of color and fresh plants. Porcelain Chinoiserie vases and decorative table decor of all types add drama to this colorful space. Which of these dining rooms captivated you the most? 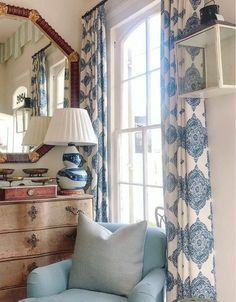 Leave your comments below and stop by our blog for more home decor,foyer lighting, and home inspirations! I love all of them! 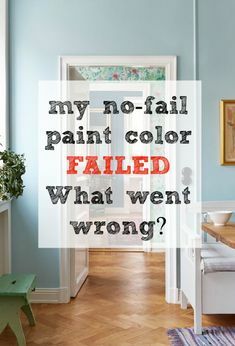 I am redoing my dining room paint colors now. I went with BM Mayonaise on the ceiling and walls…but the bottom half under our chairrail is looking whiter than the top. I’m hoping more layers of it will help. I think it’s because those areas were painted in a gloss before but they were all primed. Hope it’s not just the light in the room. I do love the color and it gives a pretty soft glow to the space without being too yellow for my taste. Thought I’d try BM Cottonballs on the trim to accent it more…but not totally sure how it will look yet. Right now with just one coat, looks more like Primer so hoping that will improve too. Thinking it all out again this weekend before painter returns so let me know any thoughts you might have! Thank-you Laurel!!! Appreciate this input greatly!! !